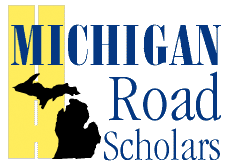 The Michigan Road Scholars have selected Assistant Professors Shanna Kattari and Ashley Lacombe-Duncan and Field Educator Rachel Naasko to participate in the 2019 program. This 5-day educational tour exposes participants to the state’s economy, government and politics, culture, educational systems, health and social issues, history and geography. Designed to increase mutual knowledge and understanding between the university and the people and communities of the state, the tour introduces participants to locations the majority of U-M students call home. It also encourages university service to the public and suggests ways faculty can address state issues through research, scholarship and creative activity.